Central Coast Motel accommodation, featuring spacious rooms and friendly staff. The Chittaway Motel offers spacious, modern rooms conveniently located close to the Tuggerah and Berkeley Vale Business Parks. 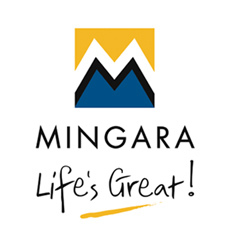 Westfield Shopping Centre, Mingara Recreational Club and the F3 Freeway are only minutes away. Situated in the heart of the Central Coast, our Motel offers the perfect blend of prime location and stylish accommodation, with a focus on quality guest service. Nestled by the lake, we have the best of both worlds; central location with the opportunity to retreat from the hustle and bustle. Each of our rooms are beautifully appointed to 4 star AAA standard with modern facilities and a tranquil outlook. Widescreen LCD TVs throughout, Foxtel, WiFi and a high standard of cleanliness is our standard. Fish only metres from your door, explore the lovely Tuggerah Lake, or venture further and experience the many features and attractions of the scenic Central Coast. Whether your stay is for business or pleasure, one day or a week, Chittaway Motel provides the ideal atmosphere and surrounds to ensure your time with us an enjoyable one, whatever the occasion. We look forward to welcoming you to the Chittaway Motel and showing you first hand why our motel is renowned for returning customers, comfort, convenience and courteous service. Stay connected with free Internet during your stay. Enjoy Foxtel on your wide LCD TV. Continental or cooked, on your request. Rooms are very clean, very spacious. Bathroom is lovely, great shower. Close to Westfields Shopping Centre at Tuggerah. Next door to Chittaway Tavery where the food there is fantastic! Only one and a bit hours from Sydney. 🥰😍What a fantastic Motel, what a super friendly staff! 🎉🎉🎂Christmas party at Chittaway Motel 🏨. Wish our guests and friends a very Merry Christmas and a Happy New Year! New Website! Check it out and enjoy easy booking with us! When you spend $20 on your Amex card with #Chittaway Motel, you will get $10 credit back! No joke, this November only! Go and register your Amex Card on #shopsmall today! Amex Welcome!!! NO more Amex surcharge from 1st of August! Come and Enjoy your stay with us! Looking to earn American Express Membership Reward points? Yes, more Amex reward points!